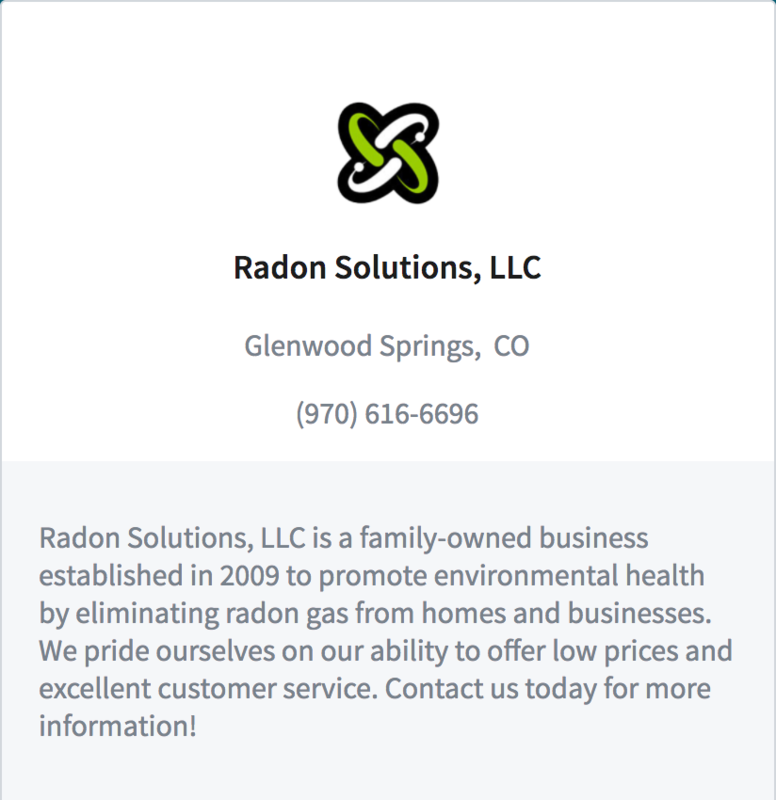 Radon Solutions, LLC is a family owned business established in 2009 to promote environmental health by eliminating radon gas from homes and businesses. 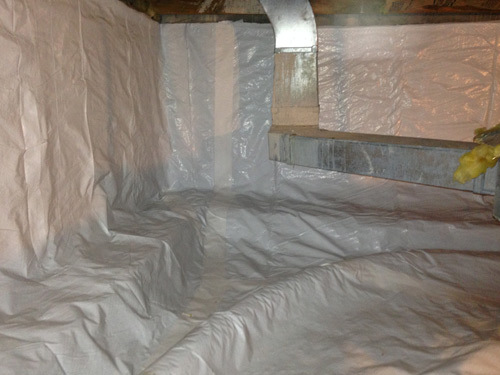 Radon Solutions, LLC prides itself with low prices and excellent customer service. Radon Solutions, LLC is a member of industry association N.E.H.A. 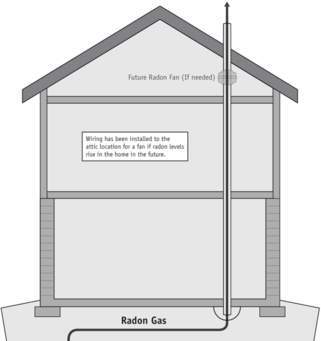 All of the systems installed by Radon Solutions use EPA approved methods which are effective in preventing radon entry. Many radon reduction systems can reduce radon levels in your home by up to 99%. Testing is the only way to know if you and your family are at risk from radon. Radon Solutions uses modern digital equipment to produce on site results (after 48 hour testing period). Radon, a radioactive, odorless, tasteless gas produced during the natural decay of uranium, is the second leading cause of lung cancer after smoking, and the primary cause of lung cancer in nonsmokers. 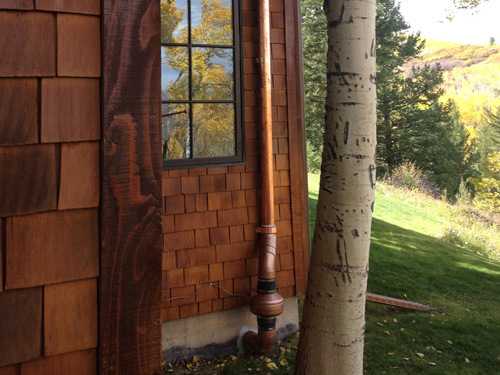 Pitkin County, and much of Colorado, is in the Environmental Protection Agency's "highest potential" category for dangerous radon build-up in homes, according to the Colorado Department of Health and the Environment. 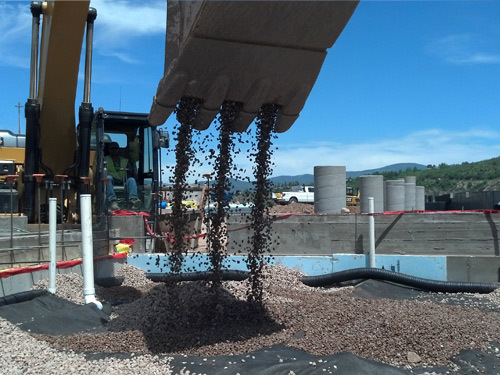 However, "it's one of the few environmental exposures that's easy to reduce," said city of Aspen Director of Environmental Health Lee Cassin. Testing a home involves placing the kit in a low area of the house for a few days and then mailing it to a laboratory for analysis. The environmental health department will help residents interpret test results, which should arrive after about two weeks, and come up with solutions. Radon seeps into homes from the ground through seal openings where pipes come into the house, gaps in the foundation, and other means, Cassin said. Outdoors, the gas dilutes to safe concentrations, but indoors it can build up and reach carcinogenic levels. Fortunately, "there are things that can be done to get rid of Radon that are much easier than what it would take to protect yourself from things like cosmic rays and pesticides," Cassin said, including installing fan systems and sealing leaks. According to the EPA, 21,000 people die of radon-related lung cancers per year in the United States. For more information call city of Aspen Environmental Health Department at 920-5039 or visit http://www.epa.gov/radon/. Eric Starszak, founder and manager of Radon Solutions, LLC, began working in the radon mitigation business in 2000, after moving to Glenwood Springs from Milwaukee, WI. Eric is a veteran of the US Army Reserve and has an Associates Degree in Architecture from MATC. He is an accomplished carpenter and has been working in the trades since 1990. 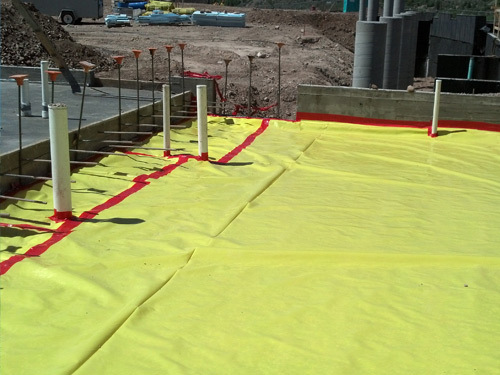 Eric has personally and successfully completed well over 1000 radon mitigations in Colorado. Eric has gained the confidence and trust of numerous builders, realtors, city officials, and homeowners who rely on him for a thorough consultation and professional results. Located in the beautiful Roaring Fork Valley, Eric is a committed Father, and an avid outdoorsman who is "living the dream, one day at a time". Radon Hotlines (Toll-Free) EPA supports the following hotlines to best serve consumers with radon-related questions and concerns. Copyright © 2010 - All Rights Reserved - radonorhealth.com - Radon Solutions, LLC.